The GPS Tracking Key captures the complete movement history of a vehicle or asset. 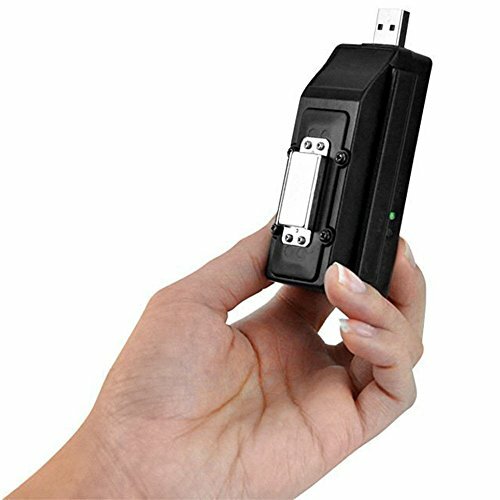 This passive GPS tracker has the ability to determine the precise GPS location of a vehicle or asset to within 2.5 meters of the device, and records detailed travel activities every second. The GPS Tracking Key’s ultra-compact size and powerful magnet mount also allows for placement virtually anywhere on or inside a vehicle. The GPS Tracking Key can record up to 2 weeks of driving data with an average driving of 2 hours a day on 2 AAA batteries. While keeping the classic look and “no monthly fee” concept in tact, Tracking Key 2 adds massive performance component upgrades including an 8th generation GPS module, a re-designed motion sensor (enhanced battery life), and added BeiDou & GLONASS satellite signal reception. The new online mapping software opens the door to both Mac & PC users with an innovative approach to importing, analyzing and storing captured data. The user-friendly web interface delivers updated mapping (google earth) and the convenience of 24/7 web accessible data. Simply place the Tracking Key 2 inside/underneath a vehicle or trailer, inside a backpack pocket or purse, or on a trackable asset and this powerful device featuring a 100+ hour internal memory will accurately record movement every second (1s) including routes traveled, speeds, stops, stop durations, addresses and mileage. The recorded tracking information can be viewed by retrieving the device and plugging it into a USB port on your computer: as a written activity/text report; displayed over a digital street map; or - the most popular option - displayed over satellite image on Google Earth. Detailed printable driving reports and animated historical playback can also be generated with the included software. The Tracking Key is the preferred choice for a wide range of tracking applications such as government agencies, law enforcement, fleet management, suspicious spouses and parents of teenage drivers. The tracking data includes: routes traveled, speed and direction, active driving time and duration of stops. No monthly subscription required! Parents: Monitor your teen's driving behaviors and determine whether they are driving responsibly. Business owners: Track and record the whereabouts of employees and company vehicles. Spouses: Confirm suspicious behaviors and view past historical driving routes. Private investigators & Police: Log the comings and goings of an individual, or record the travels of criminal suspects and parolees.